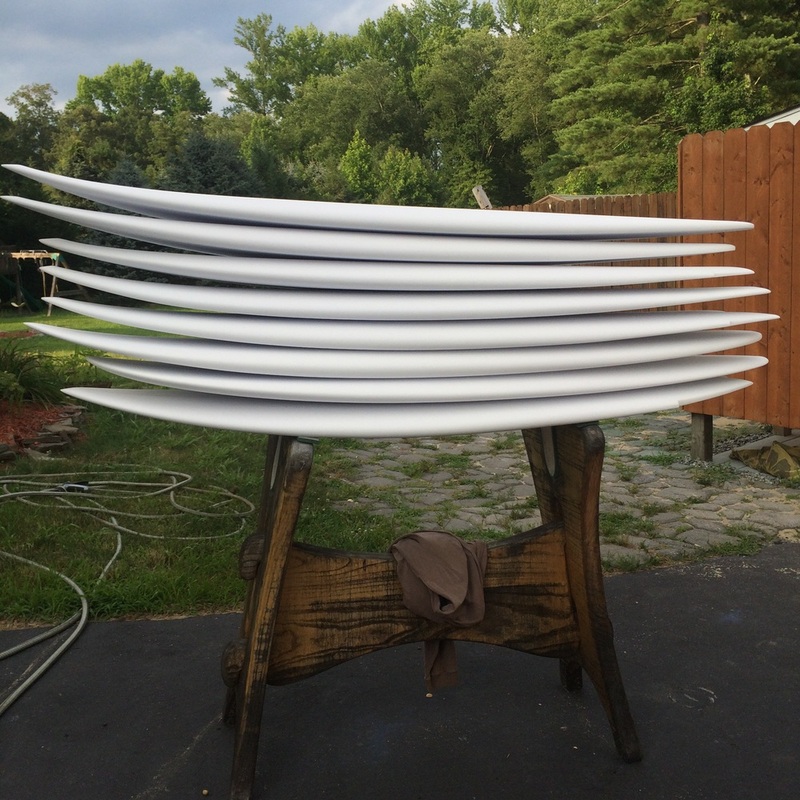 Another batch of boards out the door and another heap of blanks on the shaping rack. It's been almost 9 years since I've taken the pilgrimage down to Ocean City NJ, from Rockaway to drop surfboards off with my old buddy Brian Wynn. There has always been a revolving crew of talented individuals working under Brian and its inspiring to see the level of quality that Brian maintains in and out his doors. Brian makes awesome boards and has been doing so for a long time. Check him out (click his name above for a link to his site) and keep supporting your local shaper/craftsman.